When the weather started cooling off, I started craving soup. A bowl of hot, steamy soup for dinner is better than anything on a cool night. One of the easiest hot soups I know how to make is the Chinese hot and sour soup. It’s pretty foolproof, and you can change up the ingredients to pretty much any veggies you like. For protein, you can use chicken or pork. I stick with tofu, because my kids like tofu. The “hot” part of the soup comes from white pepper. White pepper doesn’t burn your taste buds like hot chilli does, but it warms you up from the inside. I find it a lot more pleasant than brutally hot chilli peppers. 1. Heat a little oil in the pot and sautee carrot sticks for a minute. Turn the heat on high and add chicken broth, tofu, bamboo shoots, black fungus, salt, soy sauce, vinegar, sesame oil, and white pepper. Bring to boil, and turn the heat down low to simmer for 15 minutes, until the carrot sticks are tender. 2. Add in the dissolved cornstarch to thicken the soup. Adjust seasoning. 3. Turn the heat up high for 1 minute so the soup starts to boil again. Turn the heat off. Slowly drizzle the beaten egg into the soup while stirring the soup. 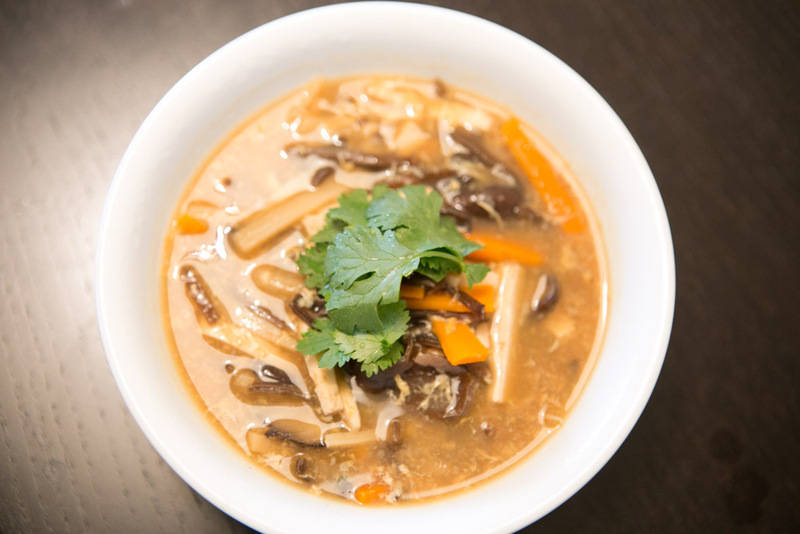 This entry was posted in Cooking and tagged hot and sour soup, recipe, soup by angelasaito. Bookmark the permalink.